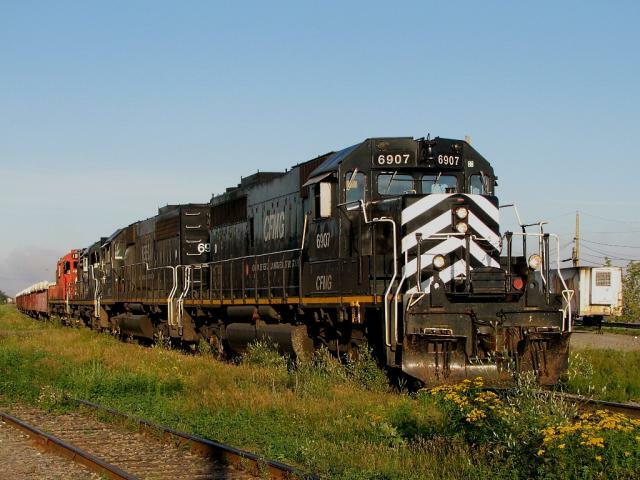 CFMG 6907 was an SD40, formerly CN 5080 (class GF-30e). 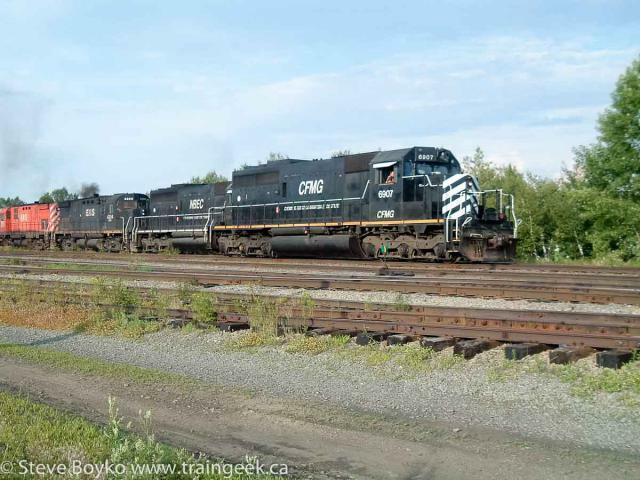 It was built in 1969, retired from CN on April 24, 1998, and rebuilt by Alstom by the spring of 1999 for CFMG. CFMG 6907 meeting train 402 in Miramichi, August 12 2007. 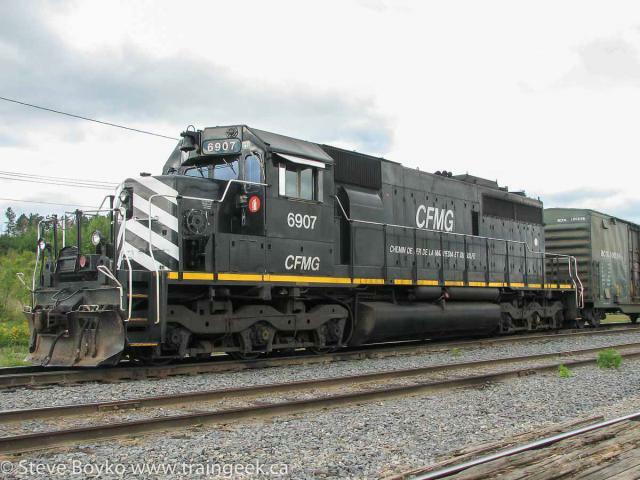 CFMG 6907 at rest in Campbellton, August 12 2007. 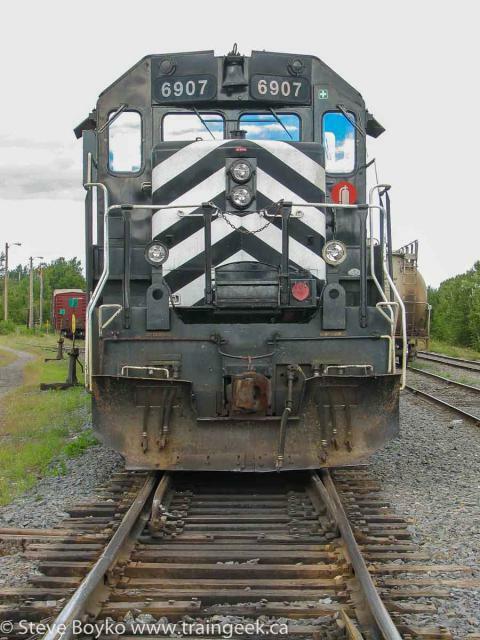 CFMG 6907 in the Miramichi yard, September 4, 2007. CFMG 6907 in the Miramichi yard, September 5 2002.